Packed with features never before offered in the industry, the Saker is yet another ground breaking product offered by SilencerCo. 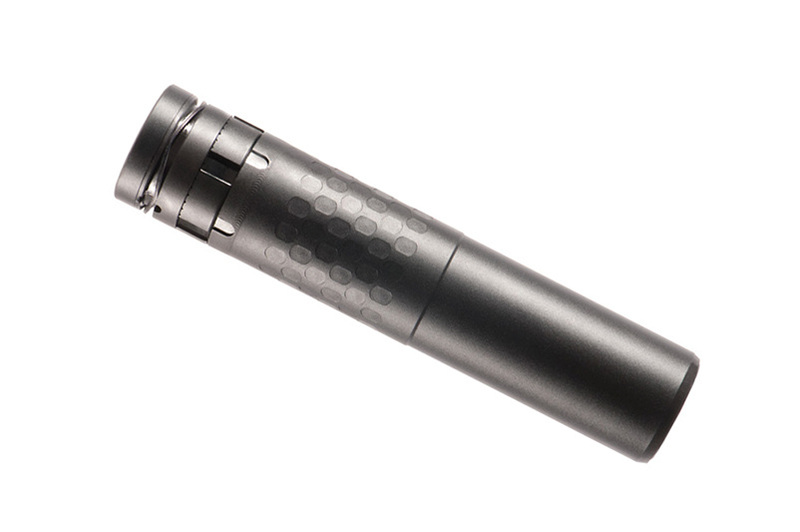 The Saker features the unique MAAD cap for user adaptability, including the standoff/rebar cutter, and the effective and compact flash hider front cap. The Patent pending Trifecta MAAD mount and Trifecta flash hider are the industry’s most superior quick detach mounting system, allowing the user one hand operation. Saker baffles are made from Stellite™ which has never been offered in silencers and is approximately 30% stronger than Inconel®. The Saker has several patent pending technologies that place it leagues above it’s competition. Made for durability, accuracy, and function, the Saker is Superior Silence. Caliber: 5.56, 7.62 & 300BLK. Weight: 20.7 oz. Diameter: 1.500”. Length: 7.50”. Sound Reduction: 5.56 – 134 dB, .300 BLK Subsonic – 126 dB, .308 – 139 dB. Finish: Black Oxide. Mount: Trifecta RS Muzzle Brake Mount.